ER20 - EH975 Laminating System This system is the standard laminating system for foundry negatives and patterns. EH975 offers quick rigidity and medium viscosity to prevent run off. EH96 is a lower viscosity hardener. ..
ER 20 Laminating & Casting Resin ER 20 Resin, also known as M Resin, is a widely used resin for electrical, tool making, foundry negatives and patterns, general composites. It contains a high percentage of flexibilizer and therefore it is only used for ambient temperature applications u..
Fast Cast PU MC2 (SG2). 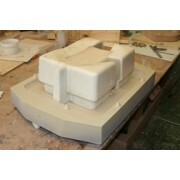 Easy to use fast cast resin. 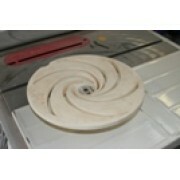 Ideal to make ornaments and general castings. Slightly slower than MC14. Working time 3 - 4 minutes. F33 filler is a low cost extender - it lowers the cost, and reduces heat generated. Mix half of the F33 with Resin A and..
A two-component filled polyurethane casting resin, tough-elastic, hardness shore D 50, which results in easy to cast polymer with a 30 minute pot life. Non-hygroscopic PU, easy to handle. 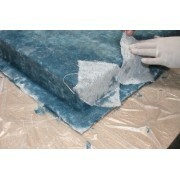 Main application is to make negatives, prototypes and electrical potting. It can filled with extra fillers..